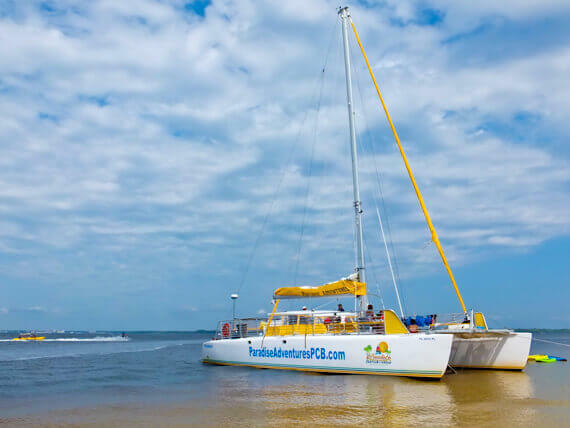 Paradise Adventures Catamaran - "Untouched, Unmatched, Unforgettable"
Our dolphin sightseeing sail is a nice, quiet, trip along the coast of Panama City Beach and Shell Island. This sail departs from the docks of Pirates Cove Marina. Depart into Historic Grand Lagoon for a 20 minute cruise out to our snorkel area. 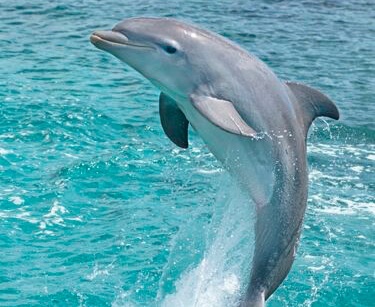 Along the way, be on the lookout for dolphin and other sea animal in their natural habitat. Your 3.5 hour trip begins with a scenic trip through Grand Lagoon and over to Shell Island. Enjoy the tropical scenery and music as you look for dolphins along the way! 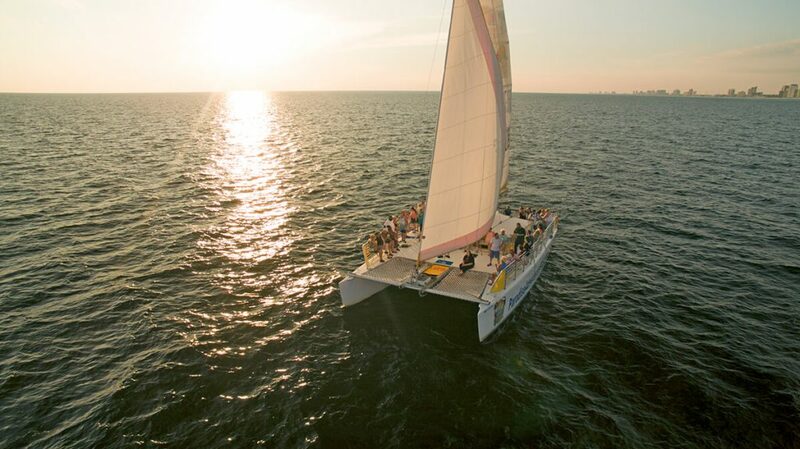 This 2 hour sail along the Gulf of Mexico offers a great opportunity to relax and leave your worries behind. 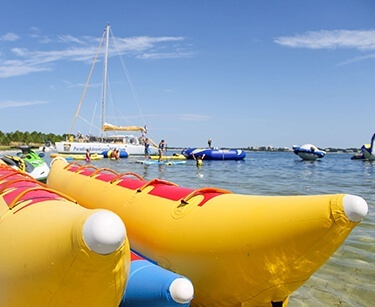 Paradise Adventures Catamaran is Panama City Beach’s premier boating adventure, and departs from Pirates Cove Marina off of Thomas Drive. Our flagship Catamaran, called the “Privateer”, is a 52 foot, U.S. Coast Guard Certified Catamaran that carries up to 78 passengers for your comfort. The “Privateer” Catamaran offers a large and spacious deck with plenty of seating, sunning nets, wind and rain coverage, shaded cockpit, attached slide off of the back of the boat, fully stocked bar, and two clean on-board restrooms. The newest vessel to our fleet is called "Footloose". It is a 40 foot, U.S. Coast Guard Certified Catamaran that can carry a maximum of 38 passengers, and departs from The Bay Point Sheraton. The "Footloose" offers a sunning net in the front of the boat, on-board restroom, and lots of seating around the boat with covered seating available as well. If you are looking for a smaller, less crowded option, the "Footloose" is a great option for snorkel trips and sunset sails. 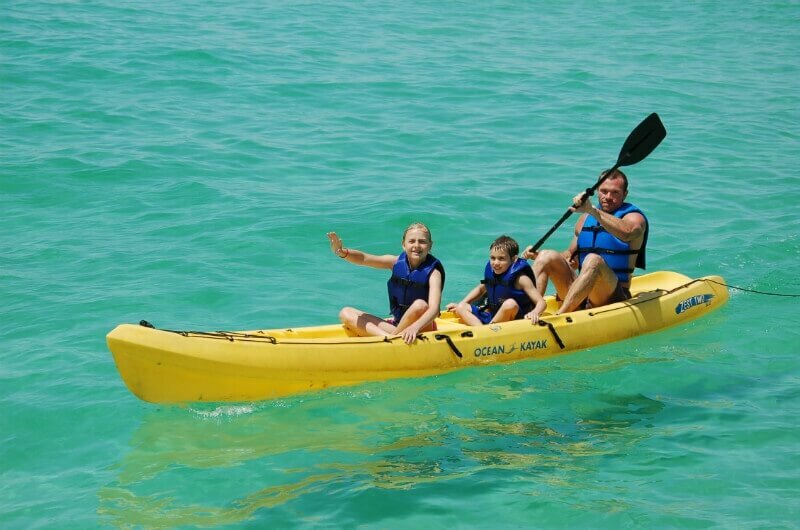 We offer the safest and most exciting water excursions along the Gulf Coast. 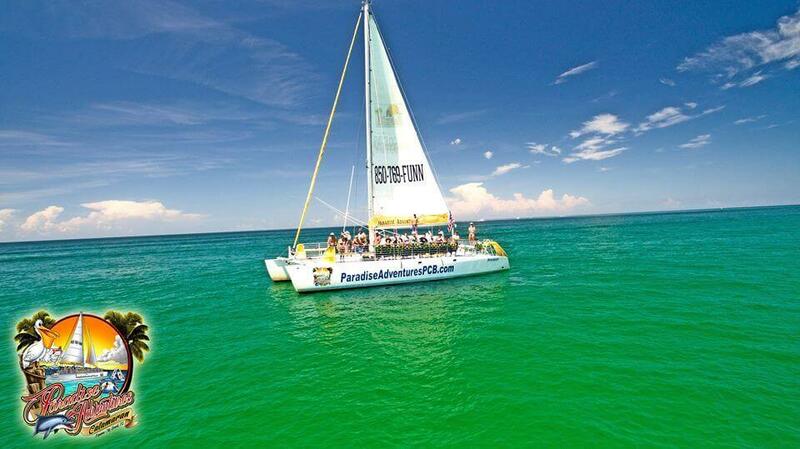 Paradise Adventures Catamaran is known as the most professional and best Catamaran experience on Panama City Beach! It was a wonderful experience! I would most definitely recommend to all my friends and family. Crew was very friendly. This trip was so fun. 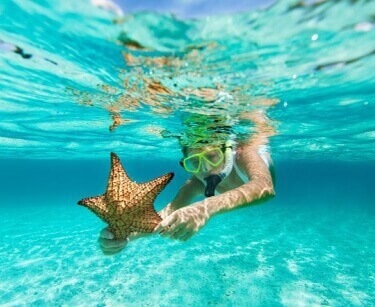 You get to stop and snorkel and find all kinds of sea life. Then you stop at a sunken boat and snorkel some more. A lot of the times while are out there the dolphins will swim through. A lot of fun on the boat as well. This is a great experience for anyone visiting Panama City Beach!! Two hours spent floating along in the Catamaran as the sun sets. Dolphins swim right up to the boat to say hello!! Five Stars! The crew is outstanding, boat clean. Second time this season and are never disappointed. Would recommend them to anyone that wants to see a beautiful PCB sunset from the water. Highly recommend. ..great crew and perfect time! Relaxing but fun. Full bar for adults but great for kids too…qe will be back! Captain was amazing, crew members were amazing! Dolphins were amazing! Excellent adventure with this company! I actually enjoyed the sunset cruise TWICE in 10 days! We had so much fun on the first trip, that we signed up again with the rest of the family when they got to town. This is now a “must do” event for every visit to PCB! 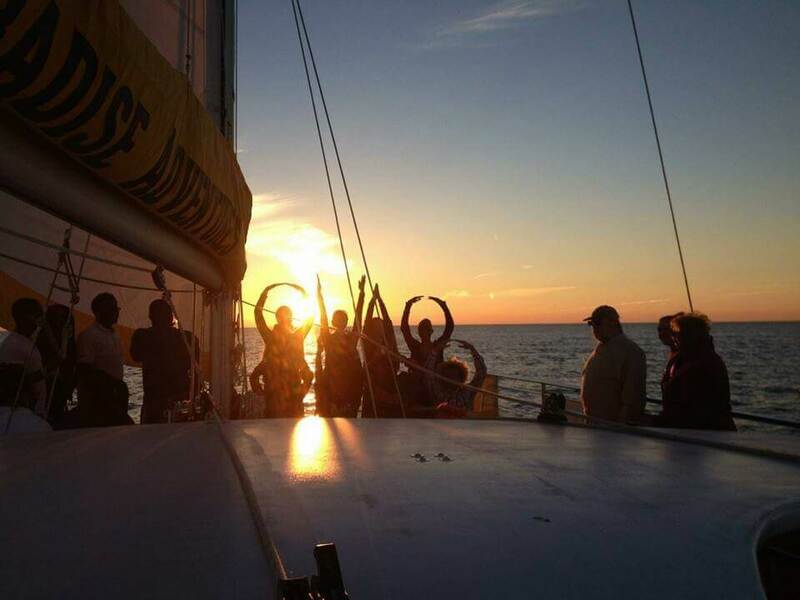 Recommend to go for a sunset sailing that will give you pleasure and view of both the timings, we did a 4:30-6:30 PM in November. The crew was very friendly and courteous. 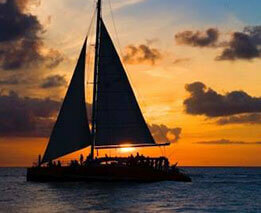 We had a great time, going to the panama beach can become much more if you add this sail to your trip.